Fig fruit tree is native to temperate climate of Asia Minor or present day Turkey and today is grown as important fruit of commerce in the eastern Mediterranean region, USA, Spain. However, it is also cultivated as a fruit tree in home gardens. During each season it bears several hundred pear shaped fruits twice a year which vary in size and color depending on the variety. Although dried figs are available throughout the year, there is nothing like the unique taste and texture of fresh figs. They are lusciously sweet with a texture that combines the chewiness of their flesh, the smoothness of their skin, and the crunchiness of their seeds. 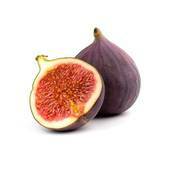 Figs range dramatically in color and subtly in texture depending upon the variety. The majority of figs are dried, either by exposure to sunlight or through an artificial process, creating a sweet and nutritious dried fruit that can be enjoyed throughout the year. Dried figs are excellent source of minerals, vitamins and anti-oxidants. In fact dried fruits are concentrated sources of energy. 100 g dried figs provide 249 calories (100 g fresh fruits provide only 74 calories). Dried figs are excellent sources minerals like calcium, copper, potassium, manganese, iron, selenium and zinc. Potassium in an important component of cell and body fluids that helps controlling heart rate and blood pressure. Copper is required in the production of red blood cells. Iron is required for red blood cell formation as well for cellular oxidation. Help Lower High Blood Pressure: Figs are a good source of potassium, a mineral that helps to control blood pressure. Since many people do not eat enough fruits and vegetables, but do consume high amounts of sodium as salt is frequently added to processed foods, they may be deficient in potassium. Fatigue: Fresh Figs contain up to 80% of water, as well as being one of the fruits with the highest levels of natural sugars. So they are a brilliant source of energy and stimulant for the brain. Making you more alert, responsive, fresh, as well as de-toxin the self. A Sweet Way to Lose Weight: Figs are a good source of dietary fiber, which makes them an ideal weight-loss aid. Protect against Vision Loss: Fiber from figs has shown to help protects against age-related macular generation that leads to vision loss. An Insulin-Lowering Leaf in Diabetes: In some cultures, fig leaves are a common part of the menu, and for good reason. Studies have shown that leaves of the fig have repeatedly been shown to have antidiabetic properties and can actually reduce the amount of insulin needed by persons with diabetes who require insulin injections. Bone Density Promoter: Figs are a fruit source of calcium, a mineral that has many functions including promoting bone density. Constipation: Figs are a natural laxative. So they can aid those suffering from constipation. They have a high level of fiber.